Their friendship was forged in mixed martial arts, but Stipe Miocic and Mirko Cro Cop share one other common bond. They are both Croatian -- Cro Cop by birth, Miocic by heritage. When Miocic, the UFC’s No. 4-ranked heavyweight contender, enters the Octagon on Saturday night to face Mark Hunt in Adelaide, Australia, he’ll carry the knowledge he gained while training with the legendary Cro Cop in Zagreb for two weeks in March. To call it an invaluable – and insightful – trip would be an understatement. Miocic not only benefited from training with Cro Cop, he also discovered his roots. Miocic’s parents are native Croatians, but Miocic, born in the U.S., had never traveled there until his recent visit. His parents divorced when he was a toddler, and this was his first opportunity to visit their homeland. There were uncles and cousins he had never met, too many to count. He took a trip down the Croatian coast with his father, Bojan, who lives in Austria. But his heart belongs to his mom, Kathy, who raised him and lives about a half hour away from Miocic’s Parma, Ohio, home. The training he did with Cro Cop may come in handy against the big-punching Hunt, who is coming off a loss to Fabricio Werdum for the interim heavyweight title. Hunt’s MMA record is a pedestrian 10-9-1, but he has seven knockouts and has finished an impressive list of opponents, including Roy Nelson and Stefan Struve. Marcus Marinelli, who owns Strong Style Gym in Independence, Ohio, and is Miocic’s head coach, had no concerns about his fighter breaking training to work with Cro Cop. Marinelli recently underwent reconstructive back surgery and was laid up at home, so it was an opportunity for Miocic to continue working while his coach recovered. 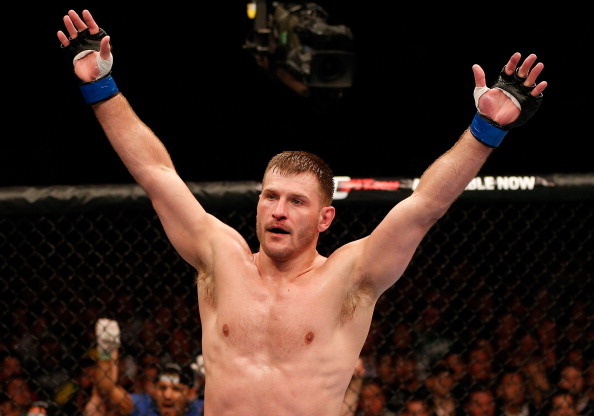 When Miocic returned home, Marinelli saw a more centered, more dedicated pupil. 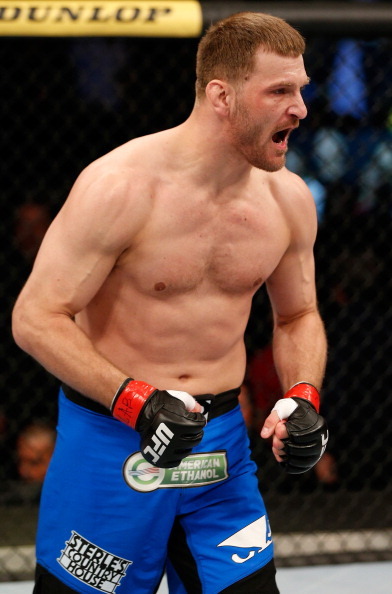 Miocic, 32, is coming off a disheartening loss to Junior Dos Santos last December. Both fighters took brutal beatings – their faces told the story -- but the unanimous decision went to Dos Santos, dropping Miocic’s record to 12-2 and ending a three-fight win streak. 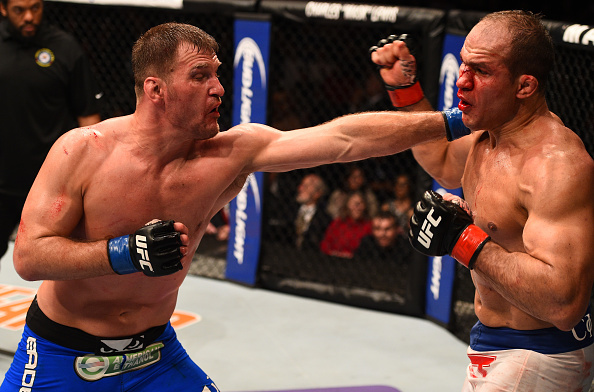 Miocic shrugs off the defeat, but it’s one that lingers in its own way. That’s true, but his ability to stand toe to toe with Dos Santos and dish out a savage beating – as well as absorb one – may have proved to him and his coach that he is ready to position himself for a run at the heavyweight title. If the Dos Santos fight did anything, it was to prove that Miocic’s time is at hand. “He knows that he’s awesome, but he didn’t really know how good he is,” Marinelli said, speaking of Miocic’s confidence before the Dos Santos match. “But I think he does now. 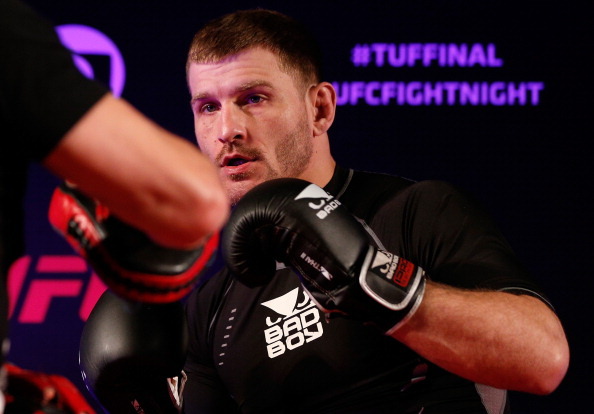 If and when it comes, Miocic has no plans to become a fulltime fighter. He works part time as a firefighter and paramedic for the towns of Oakwood Village and Valley View in Ohio, and it’s a job he intends to keep. Not that he and Marinelli haven’t discussed it. 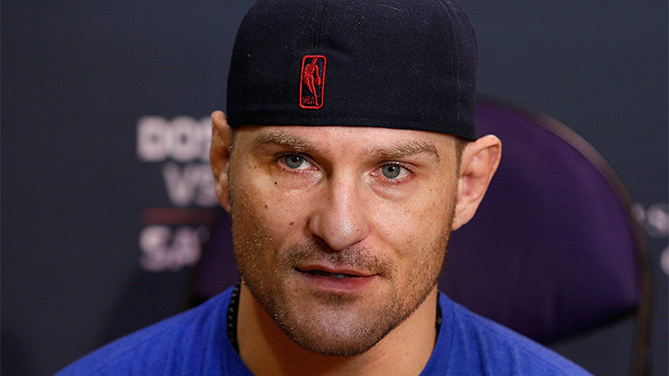 His coach has brought it up on several occasions, but Miocic balks. In many ways, he sees similarities between fighting and firefighting. Still, there’s immense pressure in both jobs. One mistake can be disastrous. For now, Miocic’s focus is on Hunt, who is ranked fifth among UFC heavyweights but needs a victory to prevent a freefall in the division. This time, Miocic is aiming for a different conclusion.